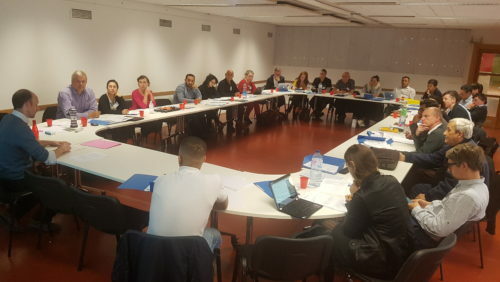 From 18-19 September, 21 representatives of (pro) Roma NGOs met in Brussels to start their involvement in the Roma Civil Monitor, a project building the capacity of Roma civil society and strengthening their systematic involvement in the monitoring of national Roma integration strategies. The pilot project as a whole involves 91 NGOs from 27 EU Member States and is coordinated by the Central European University together with ERGO Network, the European Roma Rights Centre, Roma Education Fund and Fundacion Secretariado Gitano. ERGO Network supports organisations from Ireland, the UK, Lithuania, Estonia, Poland, Germany, Austria, the Netherlands and Belgium in their monitoring work. The workshop started with an introduction into the pilot project by ERGO’s Director Jamen Gabriela Hrabanova. Dora Husz (DG Justice) then explained how civil society monitoring fits in the ‘bigger picture’ of the monitoring of NRIS and the mid-term evaluation of the EU Roma Framework by the European Commission. In the first year of the project, the NGOs will monitor policy implementation in the areas of governance, anti-discrimination and addressing antigypsyism; thematic sessions on each of these policy fields were held by the experts Adam Kullmann (CEU), Bernard Rorke (ERRC) and Gwendolyn Albert. The workshops finished with discussing practical details for the next months and starting the cooperation between NGOs from the same country. The first synthesis monitoring report will be published in spring 2018. Next Next post: ERGO Network has a new website!